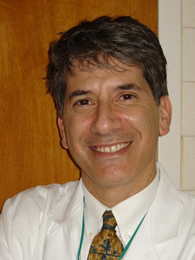 Lethal injection as practiced in U.S. executions "is an impersonation of medicine populated by real doctors who don't acknowledge the deception," Dr. Joel Zivot (pictured), an anesthesiologist and associate professor of anesthesiology at Emory University School of Medicine, writes in an op-ed for CNN. Setting aside the question of the rightness or wrongness of capital punishment itself, he says, "it's time to reject lethal injection" as the method of execution. Dr. Zivot's op-ed describes how the medicalization of executions has created an ethical problem for doctors. He cites as an example the recent Virginia execution of Ricky Gray, which used midazolam and potassium chloride from a compounding pharmacy, along with a paralytic drug. He calls lethal injection, "a trick of chemistry" that "does not cause a cruelty-free death," explaining, "Virginia used a paralytic drug that may obscure the failure of midazolam to create the sort of deep unconsciousness contemplated by lethal injection proponents." He says that, because lethal injection "approximates a medical act," it "fall[s] within the purview of physicians who now find themselves wittingly or unwittingly cast in the role of execution adviser." These physicians must choose between their profession's ethical prohibition against killing—both the American Medical Association and the American Board of Anesthesiology have issued statements condemning physician involvement in executions—and their ethical imperative to reduce suffering, especially in the face of botched executions. "An inmate facing death is not a patient by virtue of being connected to an intravenous device and having a doctor in a lab coat standing by. Physicians can only work with patient consent," Zivot says. He asks, "What is the role of the doctor in the execution chamber? When does the alleviating of suffering become physician-assisted homicide?" Because of these ethical dilemmas, and the failure of lethal injection to offer a cruelty-free execution, Zivot concludes, "If capital punishment continues, it needs another method." (J. Zivot, "Executions often put physicians in unfair dilemma," CNN, January 19, 2017.) See Lethal Injection.